Switzerland said it has returned all the money kept in the country by late Nigeria’s Head of State Gen. Sani Abacha, with 1.5 million dollars interest. Amb. 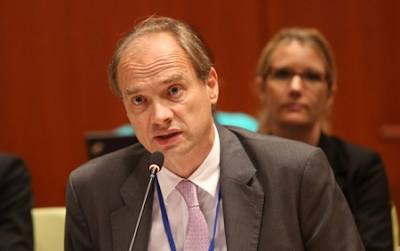 Pio Wennubst, Assistant Director-General and Head, Global Cooperation Department, Swiss Agency for Development and Cooperation, told the Correspondent of the News Agency of Nigeria (NAN) in New York. Wennubst said Switzerland returned about 322.5 million dollars (N116.11 billion) to the Federal Government. According to him, the original amount was 321 million dollars. The Federal Government had announced receipt of 322.51 million from the Swiss government as part of the looted funds recovered from the late former Head of State. The Minister of Finance, Mrs Kemi Adeosun, through her Special Adviser, Media and Communications, Oluyinka Akintunde, had confirmed the receipt of money from Switzerland. Akintunde said: “We state that $322,515,931.83 (N116,105,735,458.80) was received into a Special Account in the Central Bank of Nigeria (CBN) on Dec. 18, 2017, from the Swiss government’’. Confirming this, Wennubst said: “We returned 321 million dollars including the interests. “We return all the amount, 322.5 million dollars including the interest for the time that the funds were blocked’’. The Swiss envoy also said that the money was returned to the Nigerian Government unconditionally.